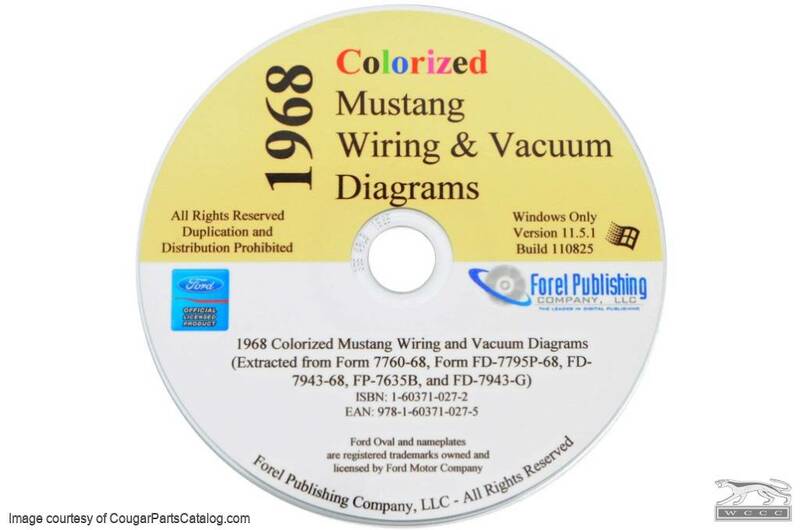 These CDs are a comprehensive collection of vacuum and wiring diagrams compiled from Original Ford Publications and color coded for ease of reading. 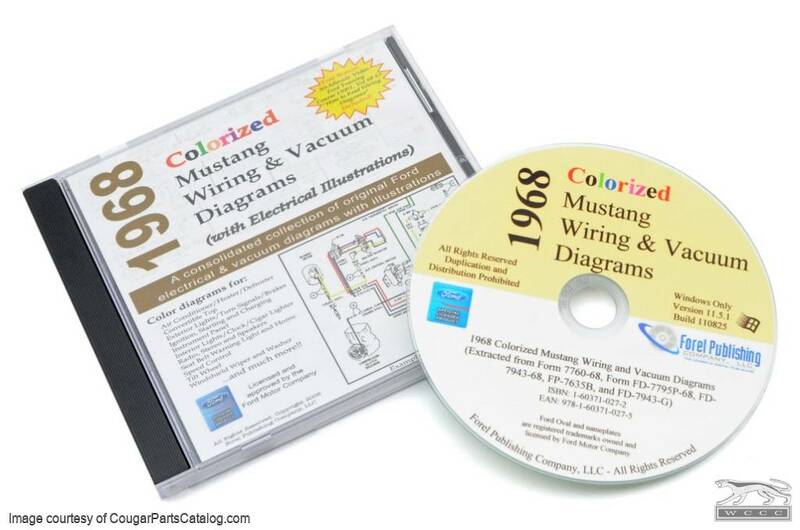 Includes 30 Minute Original Ford Training Video, called "How to Read Wiring Diagrams." 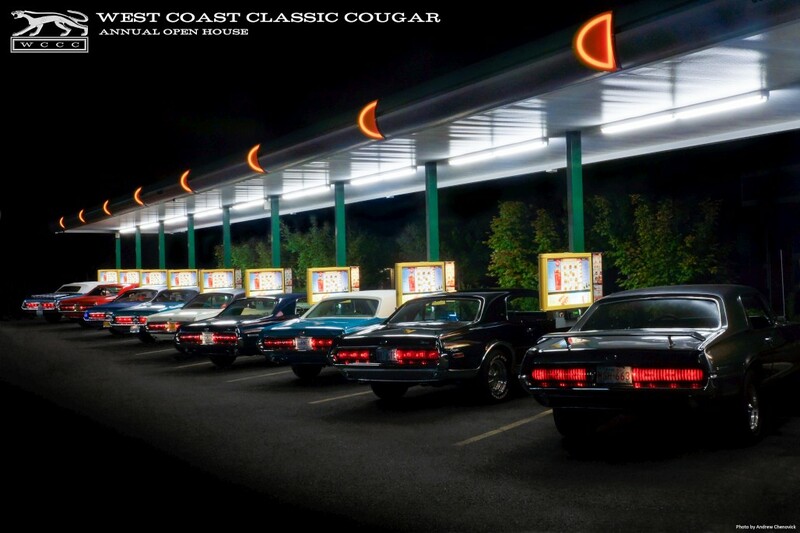 This manual on CD is a good basic wiring and vacuum diagram for the Mercury Cougar, as much of the Mustang wiring and vacuum systems were identical to that of the Mercury Cougar. Requires: Windows 98 or higher, 128 Megs of RAM, CD Reader, Internet Explorer 5.5 or higher, and Acrobat Reader 5.0 or higher (included on CD).